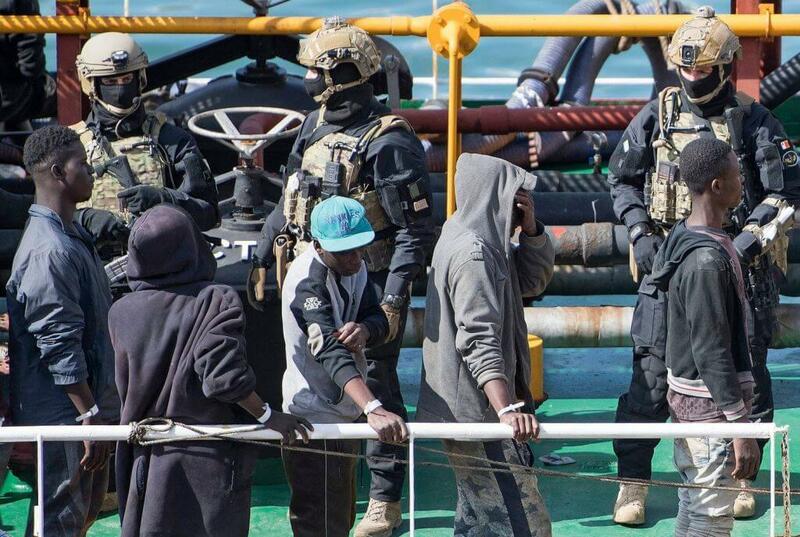 Maltese special operations forces on Thursday stormed a merchant vessel taken over by rescued migrants who were allegedly demanding to be transported to Europe, rather than back to Libya. The migrants would be turned over to police for investigation, armed forces said. It was heading towards Lampedusa or Malta when Maltese forces intercepted it. Authorities in Malta and Italy said the migrants hijacked the cargo ship on Wednesday after it rescued them in the Mediterranean Sea and forced the crew to put the Libya-bound vessel on a course north towards Europe. Before the operation began, the captain “repeatedly stated that he was not in control of the vessel and that he and his crew were being forced and threatened by a number of migrants to proceed to Malta,” the government statement said. The situation was a particularly volatile example of tensions in the Mediterranean, where European countries have tightened the door to migrants and curtailed rescue operations on the high seas. Nonetheless, hundreds of migrants every month attempt the journey.